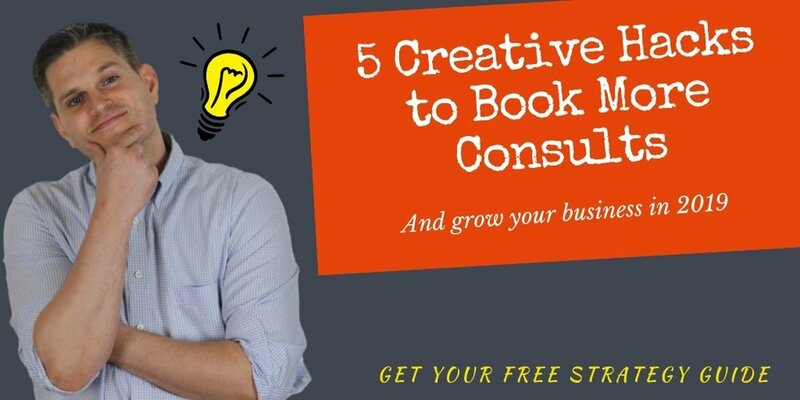 Struggling to Book Consult Calls? Getting more consult calls can (and should) be simple! This strategy guide will provide you with the tools you need to start landing more calls with your ideal prospects RIGHT NOW! “Eric is a fantastic business partner. I reached out to him after a recommendation from another business connection since he has a niche that is not only growing, but a few steps ahead of mine. He offered really solid input and action steps, and was willing to teach from his own mistakes and successes. I’ve been on quite the sales and marketing journey since 2004, and I know how confusing everything can be. It is my mission to not only spark creativity in your business to fuel growth, but to also simplify your marketing efforts to get more awareness, engagement, and leads for your business. This strategy guide is designed for coaches, consultants, marketers, and digital agency owners seeking to book more discovery calls in 2019. If you have been struggling to fill up your calendar with appointments, then this is the guide you need!